Post: Gaurav Akrani. Date: 9/17/2010. No Comments. Label: Banking, Economics, India. 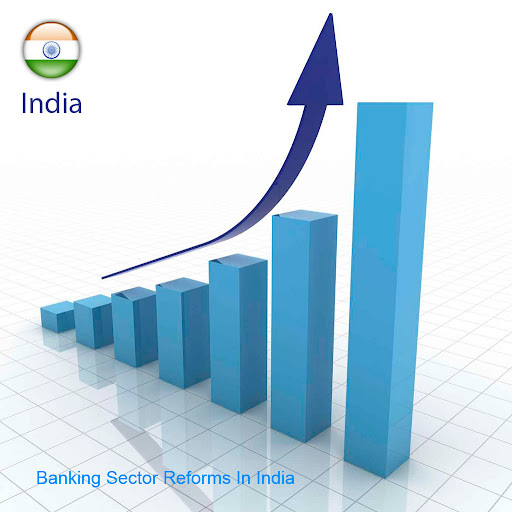 Indian banking sector has undergone major changes and reforms during economic reforms. Though it was a part of overall economic reforms, it has changed the very functioning of Indian banks. This reform have not only influenced the productivity and efficiency of many of the Indian Banks, but has left everlasting footprints on the working of the banking sector in India. Let us get acquainted with some of the important reforms in the banking sector in India. Reduced CRR and SLR : The Cash Reserve Ratio (CRR) and Statutory Liquidity Ratio (SLR) are gradually reduced during the economic reforms period in India. By Law in India the CRR remains between 3-15% of the Net Demand and Time Liabilities. It is reduced from the earlier high level of 15% plus incremental CRR of 10% to current 4% level. Similarly, the SLR Is also reduced from early 38.5% to current minimum of 25% level. This has left more loanable funds with commercial banks, solving the liquidity problem. Deregulation of Interest Rate : During the economics reforms period, interest rates of commercial banks were deregulated. Banks now enjoy freedom of fixing the lower and upper limit of interest on deposits. Interest rate slabs are reduced from Rs.20 Lakhs to just Rs. 2 Lakhs. Interest rates on the bank loans above Rs.2 lakhs are full decontrolled. These measures have resulted in more freedom to commercial banks in interest rate regime. Fixing prudential Norms : In order to induce professionalism in its operations, the RBI fixed prudential norms for commercial banks. It includes recognition of income sources. Classification of assets, provisions for bad debts, maintaining international standards in accounting practices, etc. It helped banks in reducing and restructuring Non-performing assets (NPAs). Introduction of CRAR : Capital to Risk Weighted Asset Ratio (CRAR) was introduced in 1992. It resulted in an improvement in the capital position of commercial banks, all most all the banks in India has reached the Capital Adequacy Ratio (CAR) above the statutory level of 9%. Operational Autonomy : During the reforms period commercial banks enjoyed the operational freedom. If a bank satisfies the CAR then it gets freedom in opening new branches, upgrading the extension counters, closing down existing branches and they get liberal lending norms. Banking Diversification : The Indian banking sector was well diversified, during the economic reforms period. Many of the banks have stared new services and new products. Some of them have established subsidiaries in merchant banking, mutual funds, insurance, venture capital, etc which has led to diversified sources of income of them. New Generation Banks : During the reforms period many new generation banks have successfully emerged on the financial horizon. Banks such as ICICI Bank, HDFC Bank, UTI Bank have given a big challenge to the public sector banks leading to a greater degree of competition. Improved Profitability and Efficiency : During the reform period, the productivity and efficiency of many commercial banks has improved. It has happened due to the reduced Non-performing loans, increased use of technology, more computerization and some other relevant measures adopted by the government. These are some of the import reforms regarding the banking sector in India. With these reforms, Indian banks especially the public sector banks have proved that they are no longer inefficient compared with their foreign counterparts as far as productivity is concerned.